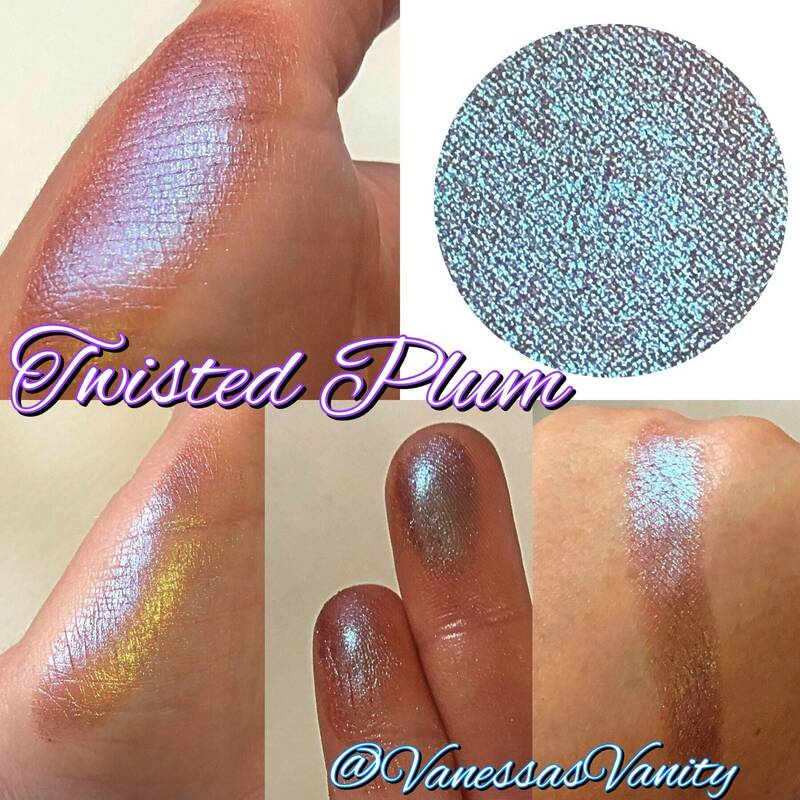 💜TWISTED PLUM💜 is a chameleon shade shifter that changes colors in different lighting. 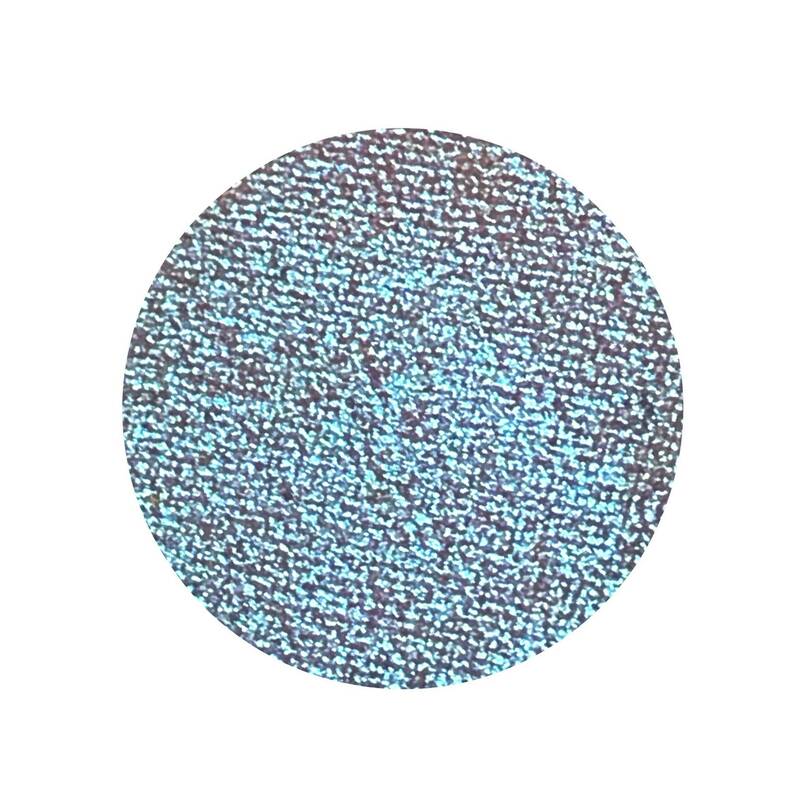 This is medium opacity (build-able). 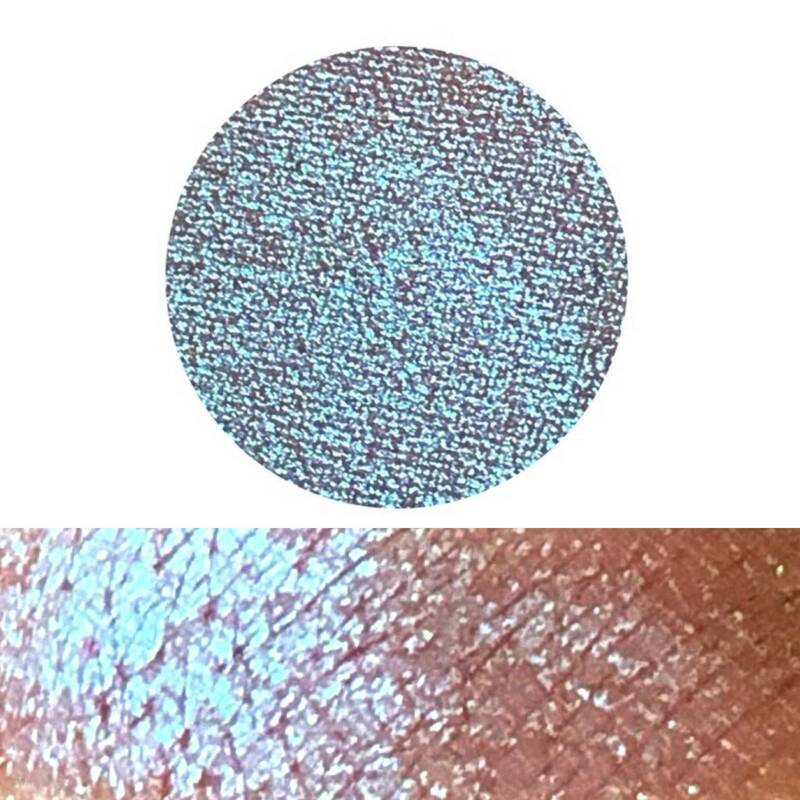 Starts out rather sheer which I think is cool Incase you want to wear it as a highlighter. 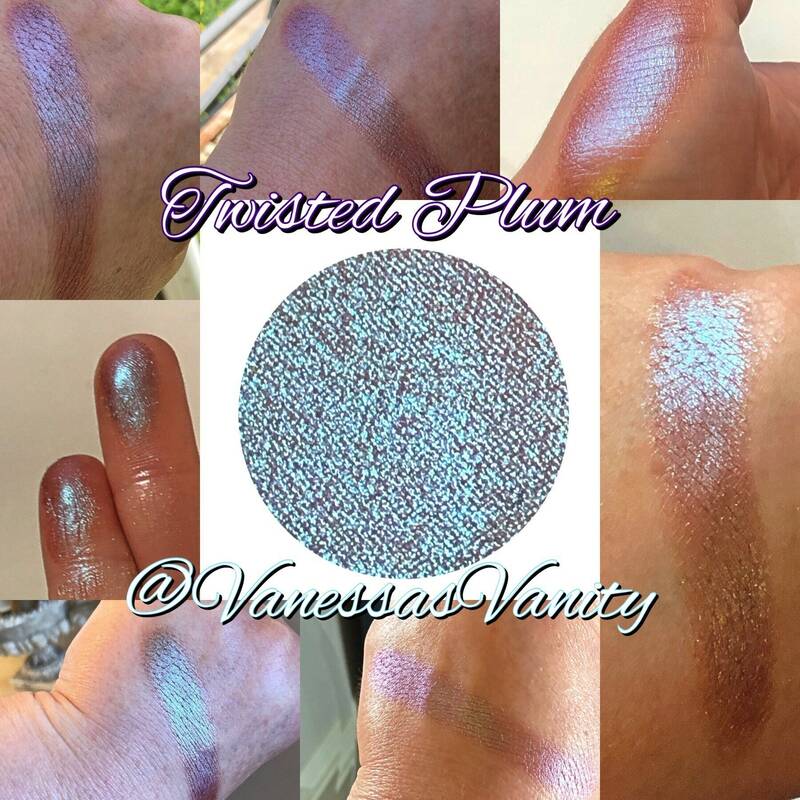 You will get the MOST pigment by applying it with a damp brush or by using a mixing medium, or out foil fluid. Changes from purple to teal to green to red.